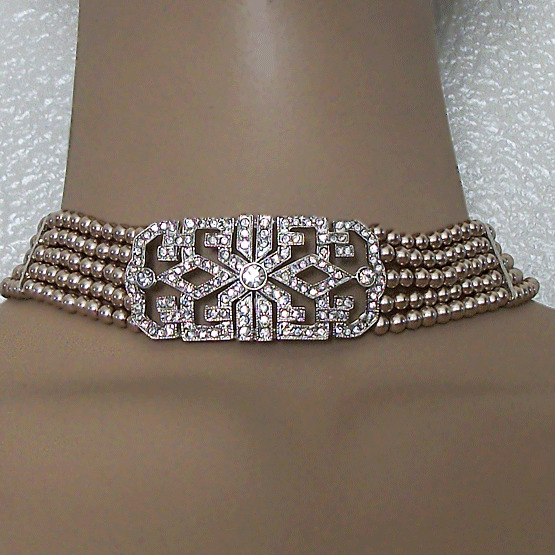 This vintage-styled choker has five rows of champagne-colored faux pearls on a 15-1/2 inch rhodium base. No earrings are included. 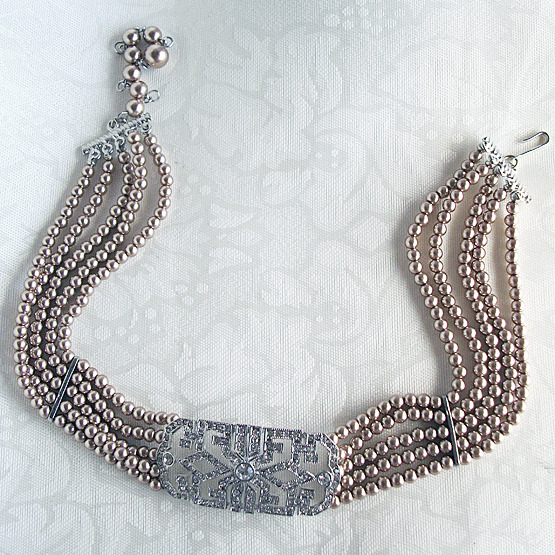 The color is stunning and perhaps just right for your bridesmaids, prom or pageant.